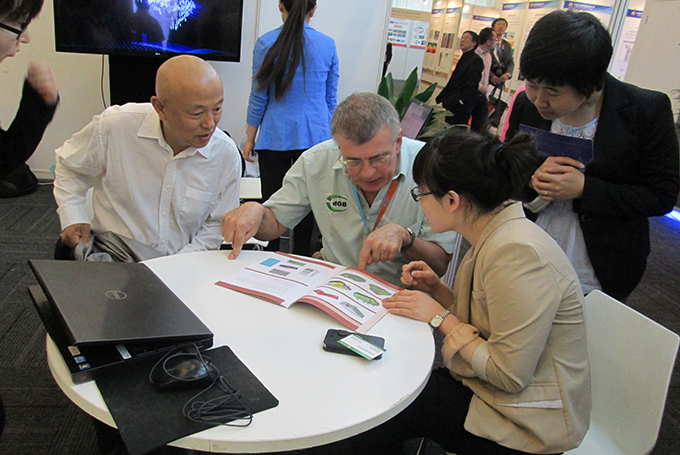 In this exhibition, several companies from home and abroad showed great interest in our software. Mr. Jan Stellingwerff Beintema, executive vice-president of dGB company, visited our booth and had a deep discussion with our chief executive, on the following issues: advantages of the softwares from both sides, the cooperation pattern of OpendTect and DepthInsight®. Both sides expressed great expectations on our future cooperation.